Apple is in for a busy year, especially if all the devices it is rumored to have in the pipeline turn out to be real. One of those devices is the fabled iWatch, and it seems to be getting more and more real by the day. 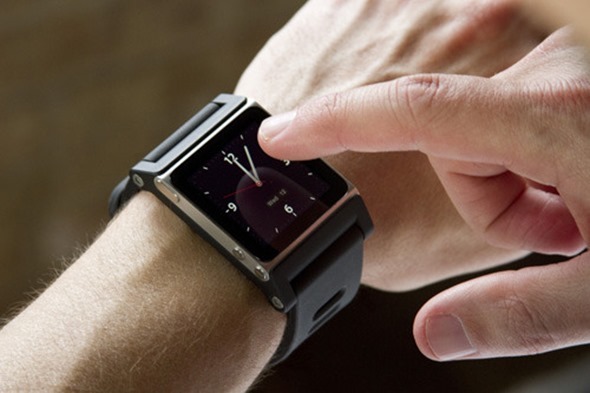 With Apple staying characteristically tightlipped about its smartwatch, it’s possible that one of the company’s lower-level employees may have inadvertently confirmed that the iWatch is indeed a real product and that Jonny Ive and his band of designers have been pretty much left to their own devices with CEO Tim Cook taking a somewhat hands-off approach. The news comes from a profile that The New York Times did on Apple’s CEO Tim Cook recently, with the interviewees being a handful of Apple’s employees. The subject, how things have changed at Apple since Tim Cook took over from co-founder and talisman Steve Jobs, inevitably turned to unannounced products and it’s here that it appears someone got a little carried away with themselves. Speaking of Cook’s approach to new products, the employees apparently pointed to his handling of the iWatch product, where the likes of Jonny Ive being left to run with the project. Apparently the staffers were not authorized to talk about such things, doing so anonymously, and as you might expect, Apple refused to comment when asked about the iWatch following the interview. They point to the development of the so-called iWatch — the “smartwatch” that Apple observers are eagerly awaiting as the next world-beating gadget. Mr. Cook is less involved in the minutiae of product engineering for the watch, and has instead delegated those duties to members of his executive cabinet, including Mr. Ive..
At this point it’s almost nailed on that Apple is indeed hard at work on a smartwatch, but that doesn’t mean that it’s going to be announced this year, or even the next. Our money would be on an October-ish unveiling this year though, but we wouldn’t be surprised if Apple decided against such a timescale. Tim Cook isn’t the kind of person to be rushed into anything, and if the iWatch needs more time to cook – pardon the pun – then he’ll afford Ive and co. the time they need. After all, none of Apple competitors seem capable of coming up with a compelling solution anyway.